Last week Joe and I took a day off work to do something we never do. Go on a date in the middle of the day! It was such a great way to get a head start on the weekend and do an activity together. The activity of choice this time? 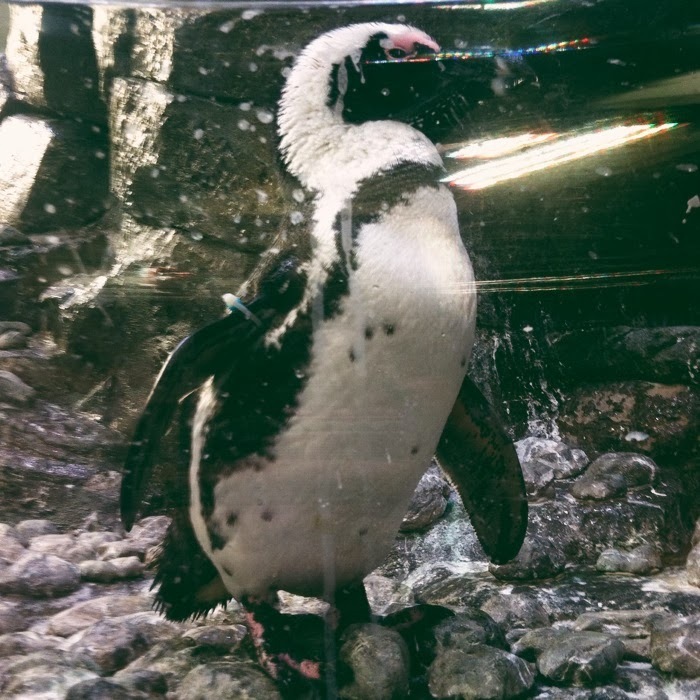 Check out the Georgia Aquarium! 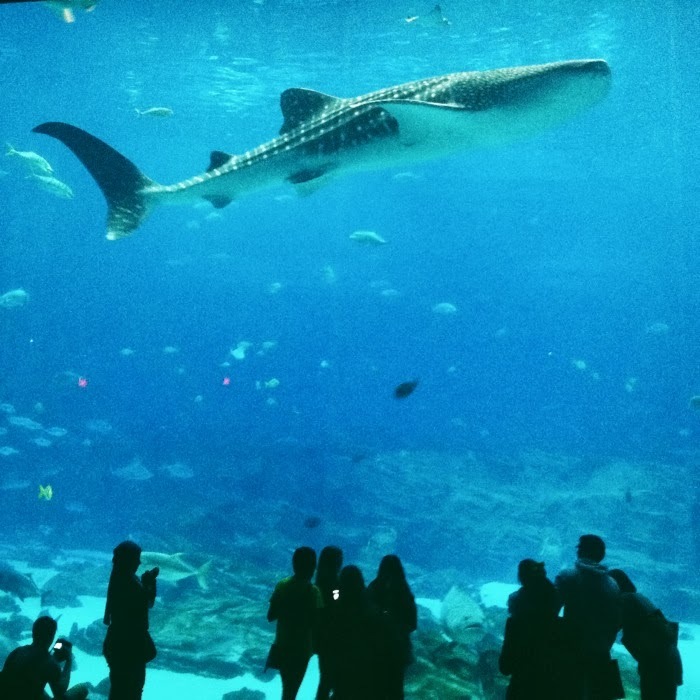 I had never been before, so I was really excited to check out everything it had to offer. I won't lie to you, it turned out to be much more kid-centered than I expected. 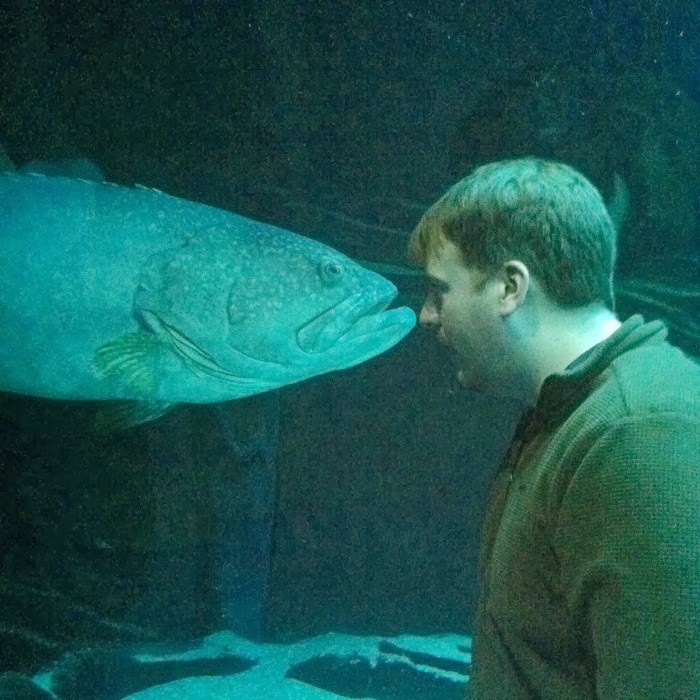 Maybe I wasn't prepared because the last time I went to an aquarium I was a second grader? However, it was still a lot of fun! 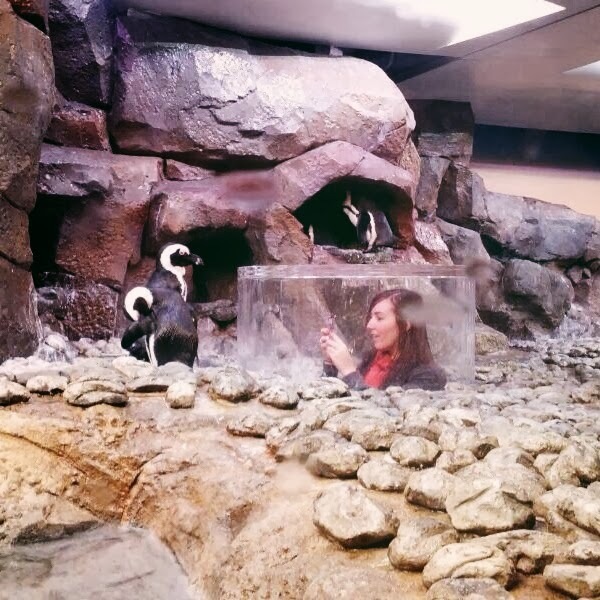 Now I officially want a penguin. But since we couldn't take one home with us, Joe bought me the next best thing. 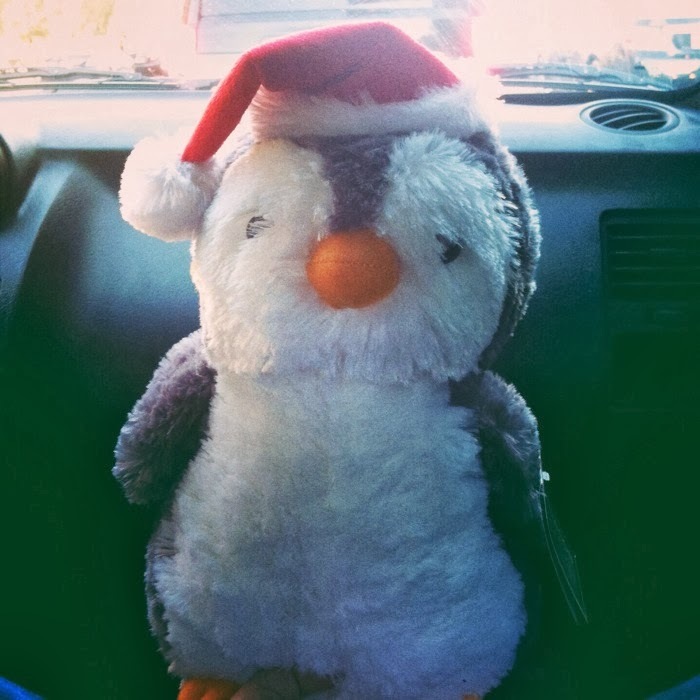 My favorite new stuffed animal, Nicholas the Christmas penguin! He's been keeping us company on the nightstand for a week now, slowly easing us into the holiday spirit. And speaking of holidays, can you believe it's almost Thanksgiving? I've spent a lot of my time this month baking (shocker) and trying new dinner recipes. I feel like I was in a dinner slump for almost a month and finally hit my wall of frustration. So one Sunday, I set out to the grocery store (with no meal in mind) to wander around aimlessly, hoping to be inspired. This time it just so happened to be pork chops, which I've never cooked before, believe it or not. How I've gone this many years and avoided pork chops is beyond me, but I'm upset about it! Because these chops turned out so delicious. Totally up my alley, with tons of spice, garlic, and lime. And they're made in a cast-iron skillet, my current favorite kitchen accessory. If you're looking for a quick and easy dinner packed with flavor, this is what you want! 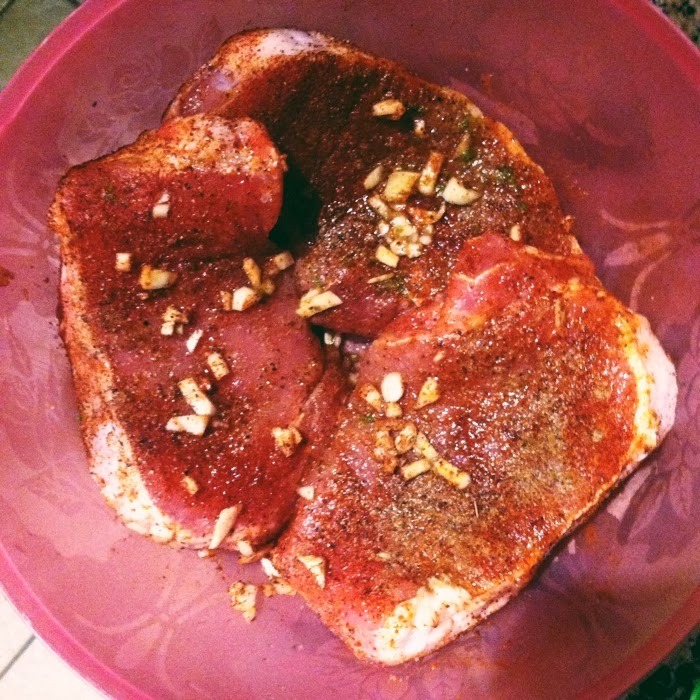 Season chops on both sides with cumin, chili powder, paprika, salt, and pepper. I sprinkled each side with salt and pepper, then used about 1/2 tsp (give or take) of each spice on each side of the chop. In a bowl, toss chops with garlic, lime juice, and lime zest. Marinate, covered, in the fridge for 2 to 2.5 hours. You can really marinate these as long or as short as you want, but I'd recommend at least 30 minutes if possible. I did mine for 2.5 hours, and I could taste all of the flavors beautifully. In a cast-iron skillet, heat oil over medium-high heat. 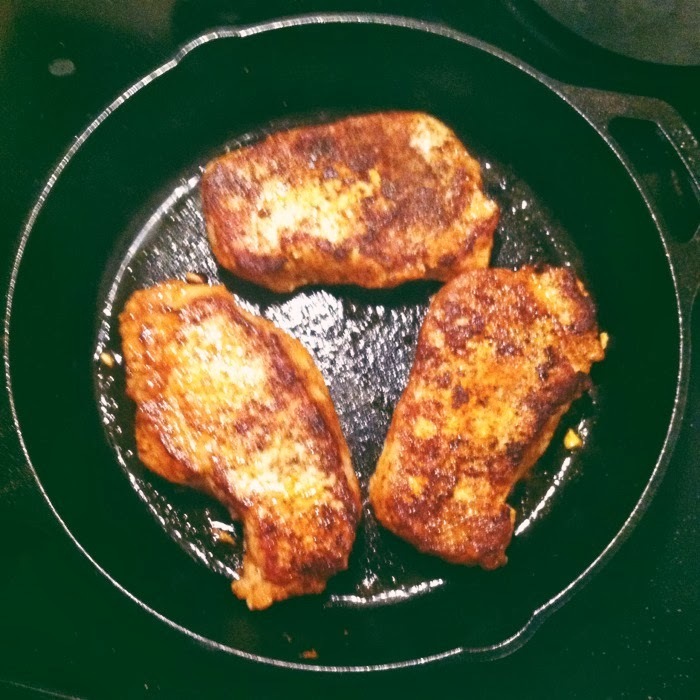 Sear pork chops for 3-4 minutes on each side, until golden brown. Transfer skillet to the oven for 6-10 minutes, until pork chops are cooked thoroughly. I threw mine in the fridge, went to a yoga class, and when I got home dinner was ready in 20 minutes. I served these on top of some lime rice (white rice cooked normally, then tossed with the juice of a whole, fresh lime), and they were amazing. Finishing off meat in the oven is so easy and SO worth it. They weren't dry at all and had amazing flavor thanks to the simple marinade. And FYI, these would also be amazing on the grill...because everything is amazing on the grill. 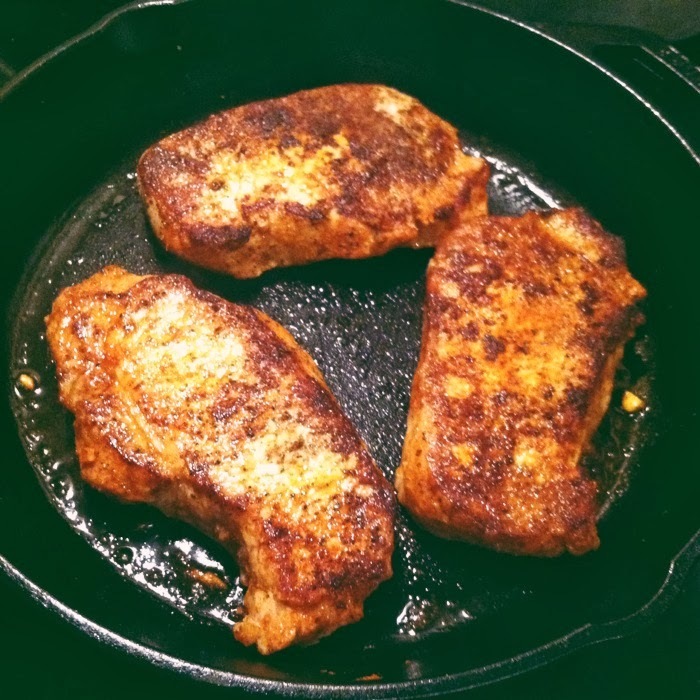 So, if you want to spice up your dinner routine, or you're tired of the usual boring pork chop, these are your remedy. I wouldn't steer you wrong. 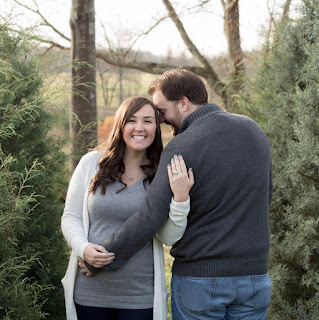 This afternoon, Joe and I are headed to Blue Ridge with some friends for our annual cabin trip! The girls and I have spent our week meal planning, grocery shopping, and picking out as many cocktails as we can. Up first on the list to try: boozy apple cider.